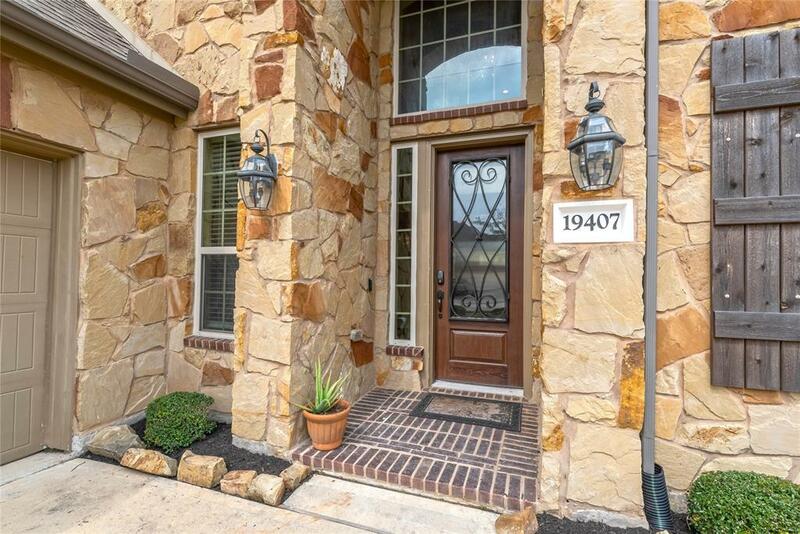 Your new home lives in an award-winning community of Canyon Lakes West, "The Manor, gated and GUARDED. 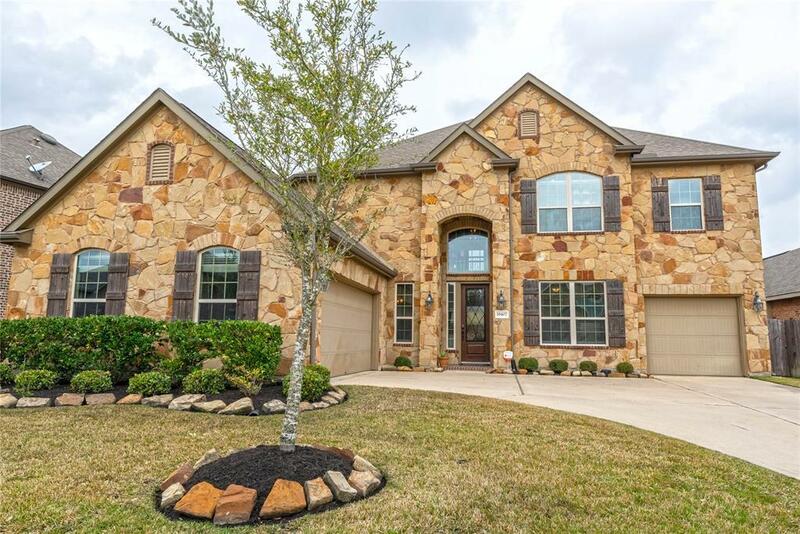 Conveniently located close to I-99 and 290, in CY-Fair school district. 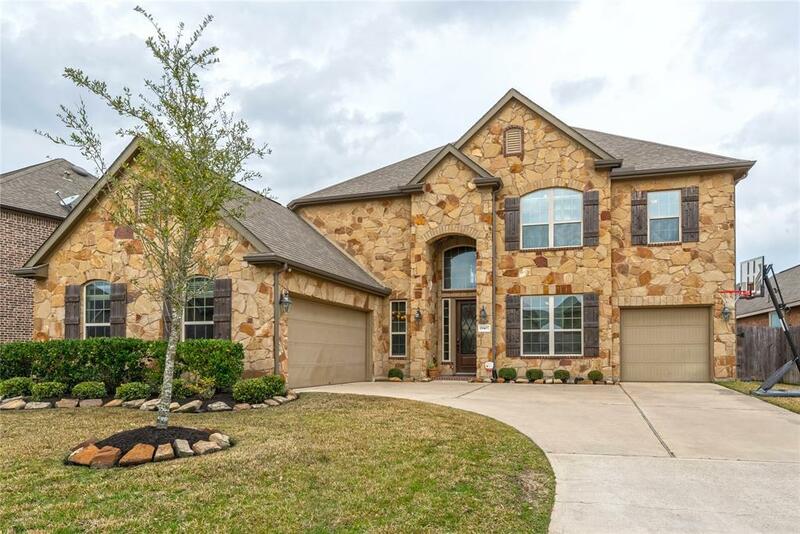 This beauty includes five spacious bedrooms, with TWO BEDROOMS ON THE FIRST FLOOR and three additional bedrooms upstairs, four full bathrooms and one-half bathroom, a private study, a formal dining room, a generous family room with a corner fireplace, and a large open kitchen and breakfast nook; outdoor covered patio and huge yard. The master suite includes a private bathroom retreat with separate shower and garden tub, dual vanities and a grand walk-in closet. Hardwood floors throughout. 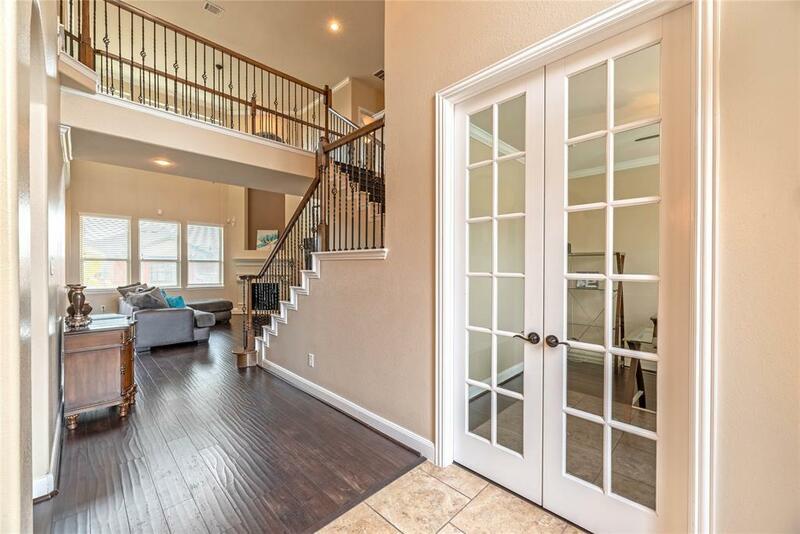 This incredible home also features a spacious upstairs game-room and media room, as well as a walk-in utility room, plenty of extra storage and a split 3-car garage.